First impression is really about human communication and how you can use your own behavior and body language to influence and persuade people. 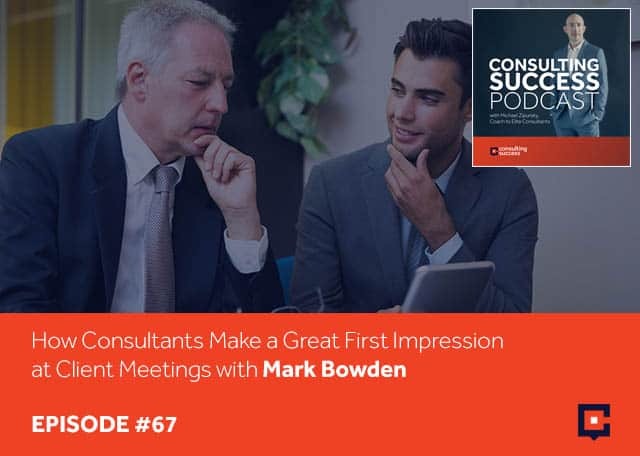 Mark Bowden is an expert in human behavior and body language and has helped people all over the world stand out with trust and gain credibility every time they communicate. Having four books on the subject under his belt, Mark give some tips on how consultants can make a great first impression and get good at communication, how to know when to raise your price, and how to tie and offer your speaking services with your training and consulting services. 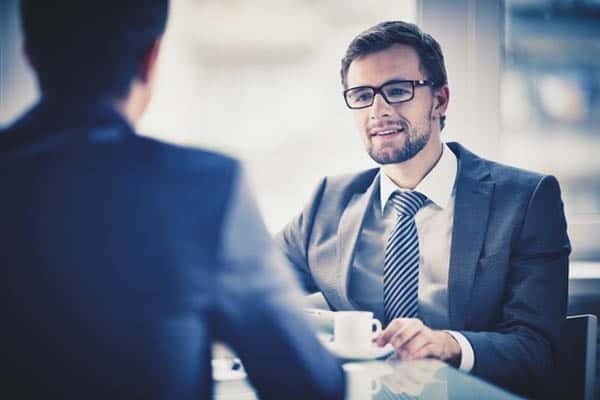 Speaking from his expertise on body language and human behavior, Mark also touches on the most common mistakes that consultants or other professionals are typically making when they meet with buyers. I’m excited to have Mark Bowden joining us. Mark, welcome. Michael, thanks for having me. I appreciate it. I’m looking forward to this, Mark. For those who aren’t familiar with your work, take a moment and explain what you do. I’m an expert in human behavior and body language. I help people all over the world stand out, win trust, and gain credibility every time they communicate. It’s about human communication. How you can use your own behavior and body language to influence and persuade people whenever you’ve got those critical communications. I’ve got four books out there on body language and human behavior. I give a lot of keynote speeches all over the world. I train people all over the world and produce videos as well and write a few articles. The first time I learned about you was at a conference that I attended. You were one of the featured speakers and left an impression with me. You were probably the best speaker from that whole day and certainly the one that I remember the most. I enjoyed what you shared. I’m excited to share a bit of your knowledge, wisdom, and expertise with us. Your clients include Royal Bank, TD, Amex, Viva, Microsoft, Google, Toyota, VW, Samsung, P&G, a whole bunch of well-known brands and names. Who was your first client? It was a PR company in London and it was during the dot-com crash. They knew of the work that I was doing in the entertainment world around how you have trust and credibility and win that trust with people and change people’s feelings very quickly when you’re communicating. They came to me and said, “Can you do that in the world of business?” I said, “The people in the world of business got roughly two arms, two legs, and a head in the same place as everybody else I’ve been working with. I’ll come in and do it.” Their situation was there was a lot of bad news around. Underlying that with some of the organizations they were working with, there were some strong fundamentals. They needed ways for audiences that their clients were communicating with to get across the bad news but also with that get across the true fundamental story of the companies that they were representing. What that meant was that people were going to have to build trust very quickly in a place where trust had been lost. That was my first corporate client. How did you leverage that first client to get your next one? Was it through word of mouth? Were you actively starting to seek clients and do your own marketing at that stage? I don’t think I did. At the time. I was much in the media entertainment area with my partner, who is my life partner and business partner still, Tracey. There was an opportunity to build a company that would take the innovations and the techniques within the arts world and transfer them to business. There was a chance to establish a company to do that with a prestigious arts organization at the time in London. What we did was go to the arts organization and go, “We know how to do this. We’ve had a client in this area. We can build a company and a business that would almost agent arts, innovation, technology ideas around communication into business. Instead of going out and seeking new clients for us, we then built an agency that would do it for us and many others. Why take that approach? To start with, oftentimes people have a lot of fear and hesitation around even marketing their own business. Here you are going on and almost building a business to do the thing that a lot of people are afraid to do. What was the real mindset behind that approach? It’s a mindset that all of us who are entrepreneurial or working in business have to take. It was the risk involved. It sounds a little bit risky. Instead of building something small for yourself, you go and build something big for everybody else. The arts organization had some money to do that. They were essentially going to assume all the risk. When that happens, when you’ve got essentially a partner who goes, “We’ll assume all the financial risk on this,” it seems the path of least resistance or certainly a pathway where you’ve got some power behind you. They had a very strong brand, an institutional brand, and offices right in the west end of London. There was a whole bunch of power that we could partner with there, which made it on the outside looks a lot of risks. It was less risk to do it that way. What you mentioned, which is such an important lesson for everyone in business is you found where there were opportunity and need and the ability to invest. You went to a source that could provide the cash injection or had the desire to move forward where often people are banging their head against the wall trying to convert, to persuade, or to get someone to buy who isn’t even a buyer. They’re not looking for what that consultant or person has to offer. That’s an interesting approach that you took there and the way that you did it. It’s a good example for others. Part of what helped it feel the risk was relatively low is I’d had this initial experience within the business with the first client. I realized how big the need was in terms of their feeling of, “This is important. We need to get good at communication. We need a fast way to do it. We need the best techniques. We need them fast. We need this to work.” This organization was pretty big in the area and I went, “If they need this, then they can’t be alone. It can’t be that everybody else has got it right and they got it wrong. There must be many more out there who are in exactly the same position.” The work had gone. I knew I could deliver to their problem essentially. There was a clear problem. I knew I could deliver and without doing anything that you probably should do, which is to look at the market and go, “Is there a problem?” I went on the hunch that if these guys haven’t got it right, nobody’s got it right. Out of all the marketing activities that you’ve done over the years, what would you say has worked best for you? What is the activity that you’ve put the most focus on and the one that’s provided the greatest return for you? What stands out in your mind? I’m going to say two things. The first thing is not achievable by everybody but it’s achievable by many. Part of my business is keynote speaking, training people, and appearing live with people to do the work. That is the best marketing for more of that. I’m in an enviable position and an extraordinary position, but not extraordinary for everybody that the paid work that I do is an advert for more paid work that I do. Clients are buying adverts from me. You’re getting paid to speak, which then gets you more people who want you to speak and they pay you to speak again. They also then bring you into their company to do training, consulting, and so forth for them. It escalates and escalates. The way you stop having too much work is you raise the price. You put the brake on by raising the price because the demand increases. How do you know when to raise the price? A lot of consultants deal with this where inside they might be feeling like, “I’m not getting what I feel I deserve to be getting, but I also don’t want to lose an opportunity or lose a prospective client by charging too much.” What has been your approach to pricing and to ensuring that you’re maximizing the value that you’re creating for everyone that you work with? I have something that other consultancies don’t have, which is there’s only one of me. I haven’t built a consultancy where there are many of us being able to deliver pretty much the same thing. That means for me, there is a finite resource as with another consultancy. You can add another consultant essentially. There comes a point whereby you’ve got potentially three people who will say, “I want you on October the 23rd.” At that point, you’ve got to go, “I need to raise my price.” I’m not saying we do it on those three then and make them fight for me. That’s not the case, but once that happens, once you go, “There were three people, two people coming in on the same day,” three is a pretty good indicator. There are loads of ideas around why you raise for fees. My understanding of fundamental 101 economics is supply and demand. It’s hard to throw that one out of the window as not being a good economic theory and pricing mechanism. There is a market out there in terms of keynote speaking let’s say in Canada. You’re not going to get over $5,000 for a keynote unless you’ve got a book. You’re not going to get $10,000 unless you’ve got several books. You’re not going to get $15,000 unless you’ve got a certain amount of notoriety. $25,000, you need to have gone to space. You need to have been an astronaut or something.” There is a market out there. That’s not to say if you’re the astronaut that if three people are coming in going, “I want the astronaut on that date,” you might be able to go, “It should be $40,000.” There’s a market around how good are you. What’s your notoriety, which might be about how good are the people going to feel this is going to be before you’ve even done anything. Would they buy a ticket? How do you tie offering your speaking services, keynote or otherwise, with your training and consulting services? Is that something that you offer to all people? Even if someone approaches you for, “Can you give us a keynote?” Do you talk to them as well about offering training and consulting? I’m realizing your approach to your service offerings and how you have found it to be the most efficient, effective, and to generate the most revenue for you as well? There’s a whole bunch of avenues by which you can certainly charge more. Charge more because you’re adding more value and you’re going in and going, “Let’s deal with the issue. Let’s deal with the problem and make sure it’s properly dealt with.” There are other organizations that go, “We want an in-house keynote and then we’re done because we want to say that we’ve done you. We did the body language thing, communication.” That’s okay as well. It’s the smart organizations that do have an issue and want to deal with the issue, will want to engage you for that bigger piece and they get a better result out of that. What you mentioned, which is a great example for everyone is you didn’t just say, “Yes, we can do speaking. We can do some coaching and we can do some online training.” It wasn’t about the input or the deliverable. The way that you explained it is based on the need, the value, and the opportunity. You went layer by layer deeper into the organization. You’re finding ways to provide more value to that organization. You’re going to talk about what the deliverable is that they’re getting, but it’s also about the output, the result, and the outcome. That’s important for everyone to know as you’re talking with prospective clients in the marketplace about your offerings. I would be completely remiss if I didn’t talk to you about your expertise, which is body language and human behavior. What do you believe are the most common mistakes that consultants or other professionals, especially in professional services, are typically making when they meet with buyers? I imagine what’s happening and I imagine this from what I’ve seen with consultants that I’ve worked with, especially when they’re trying to prove their state. Let’s say it’s that selling state. They start using the behaviors of the seller rather than the behaviors of the consultant. They start to have the body language and behavior of pushing information at the potential client or client that they want to persuade to buy more. Pushing at them rather than being available to them to learn more. My fix around this would be to go, “What do you think the body language and behavior of selling is? What does that look like? 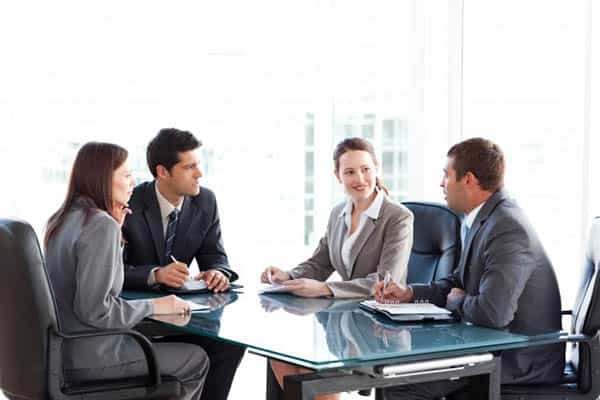 What do you think the body language and behavior of consulting is? What does that look like?” You want them to buy consulting and not wanting them to buy selling. The problem is you’re coming across like a salesperson, not a consultant. You want them to buy more consulting. What would that look like? When you say selling to me, my mind starts to go towards the direction of almost moving more with my hands or being a bit more proactive, but almost leaning forward. Whereas if I’m consulting, I’m leaning a little bit back, I’m taking notes, I’m asking questions, I’m pausing. That’s where my mind goes quickly. You’re an expert in body language. What image can we give people to help them to take something actionable away from this they can almost analyze themselves? You’re being an expert at this at the moment, as I would imagine our audience is as well. I was thinking about it as well and I assumed exactly the position you were talking about. I’ve leaned forward onto the table. I’m ready to speak like it’s my go because I’ve got to push information at you. There’s urgency. There’s an urgent tension in my body. Every time I talk to you, I’m gesturing forward towards you. My gestures are quite agitated, angular, and almost jabbing at you because I want you to say, “I’m buying.” I’m not leaned back in my chair, but I’m sitting more upright in my chair. I’m supporting my own body a little bit more. Instead of my hands being at chest height, which they were as I was leaned on my table and jabbing at you, my hands are free from the table. I’m doing these open palm gestures at around my stomach naval height. It’s more open, it’s gentler. I’m already feeling I should stop talking to you and let you talk a little bit more because I want to know more about you. What’s interesting when you’re saying this, I feel your tone and the pace of your voice changed. They have and that’s not on purpose. That’s part of what we call the cascade effect in behavior. That’s natural. This is the natural voice I would say the consultant make. If I lean on the table again, I’m assuming these positions of what I believe to be the salesman. There’s nothing wrong with this. There’s no bad behavior. There are just results that you wanted or didn’t want. It’s when I’m the consultant me, I need to give them a taste of the consultant, not the taste of the sales me. I need them to get a sense of here is what it’s like to work with me. I don’t think they need to work with a salesperson. They need to work with a consultant. You can hear this difference in tone, this difference in a rhythm that naturally comes. It may still be interesting for you. I bet it has urgency for you. I bet it wants to move you onto the next stage. I’m not saying within a sales conversation that there isn’t a place for this person here. I would want to give you, more often than not, a taste of this person. Clearly you’ve applied this in your work with well-known organizations and this works. You’ve written books about it. I’ve seen it first-hand from one of your talks. For everyone in our audience who might be saying, “This sounds a little bit hard to believe,” or, “Does this work? If I changed my tone or my posture, is that going to have a tangible impact, benefit, and result for my business?” can you share a quick case study or results that your clients have seen, that you’ve witnessed first-hand when people adjust their mindset, their actions, and their body language in meetings or in sales types of situations? It’s still a little bit anecdotal, but ultimately what happens when you do this consistently and you do the right actions consistently is there’s a whole different atmosphere in the room. There’s a whole different event that goes on. That’s what you’re trying to do with the body language. You’re creating a different event, and therefore with the different event, there’s more possibility of the outcome that you want. The outcome fits the event. You create the event, you get the outcome. Have I seen that transpire? Anything from people winning elections to people doing literally half billion deals where usually they haven’t been getting them, massive economic differences. On the whole look, the stuff that’s easy to do, the stuff that’s easy to get, the deals and the clients that are easy to get, we’re all getting them anyway. You’re not in the business of consulting if you can’t get the easy clients. They’re yours. It’s the ones that you are in competition for or they’re yours to lose and they’re big pieces of work and you know that it would make a difference to your business. The anxiety sets in, the confusion, the not knowing, “Will I get it? Will I not get it? Will I win? Will I not win?” the body language of that can leak into the room and set the agenda, set the atmosphere, and pin the event down to outcomes that more fit the not knowing. You get outcomes like, “We’ll go and think about that,” because you were behaving like somebody who should be thought about outside of the room. Not thought about there and then with you. You’re behaving like somebody who shouldn’t be decided on rather than somebody who deserves the decision right now. All of us know this to be true. We’ve been in situations where we feel either very connected to someone or very uncomfortable with someone based on how they’re speaking, their actions, their speed or tone, and pace. We’ve seen that. What’s interesting is that often, because even for me this resonates where most of us don’t spend time thinking that much about how we are going into a conversation in terms of our body language or our tone, it’s an afterthought. We end up finishing up a meeting thinking to ourselves like, “Did I talk too quickly? Did I say the right things? Did I interact the right way?” We analyze it. If we approach every opportunity and prepare for this, it can make a big difference. How have you mastered your craft? This is not a field that you can stand up in front of a room and talk in generalities about human behavior and body language. 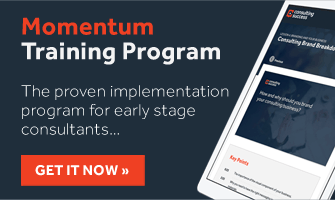 For those who want to achieve mastery, who wants to be the preeminent leaders in their field or in the top percentile of experts in their field and industry, what is your approach? What’s your daily practice? How have you approached mastery in your area? First of all, stay obsessed, which means you’ll probably always be niching and niching. Keep the obsession that you have, which ultimately probably drives your ability to be an expert in your field. Always make sure you’re going deep rather than wide within your area. You’ve probably filled out a lot of the wide, but keep obsessed and keep going deeper and deeper. When you do go wide, I would say go wide. Go outside of your scope. You’re picking up from different areas because that helps the innovation piece. A well-known innovation technique is getting outside of your area so that you can bring those ideas back to your area. That builds expertise as well. Get niched, deep. Go so wide that you’re not in your area anymore. Stick at it. Keep going. Don’t give up on where you’re trying head to with this. Most of the people will. I’m never quite sure whether it’s about being the best or lasting longer than anybody else. There’s my take on it. I want to clarify one part of this. You mentioned being specific and focusing in. You’ve done that with human behavior and body language. When I think of Mark Bowden, I think of a body language expert. The talk that you gave that I saw was on that topic. The book that I have of yours is also on that topic. It’s a McGraw-Hill title, I believe. You also mentioned going wide. How does that look? As an example, you could brand yourself and position yourself as a communications expert or a communications trainer. In my mind, I have the body language expert. Can you fill in a few of those gaps for me? Wide, for me, might look like I did a course at Harvard in molecular gastronomy. What is the chemistry of food got to do with human behavior, body language, communication, influence, and persuasion? When you say going wide, I want to be clear for everyone, you’re not suggesting going wide in terms of your branding, positioning, and service offerings. You’re talking about mastery in terms of studying and opening yourself up to different potential breakthroughs that can only come from studying and looking at things outside of your core area. That’s why when you get into a deeper engagement with me, say we would work one-on-one together, you would experience not only that depth of knowledge within the consulting that I’m giving you, but some innovations there which are only because I purposely seek to look way outside of what people would expect to be the scope. I’ve got tools and techniques that nobody else is going to have. What that speaks to in terms of the consultant is in terms of the brand and the positioning is that you’re getting something, which is way more intelligent than many of the other potential products and services out there. It feels more valuable. I want to make sure that everyone can learn more about your company, your work, and have an opportunity to dig deeper into all of that. What’s the best way for people to learn more about your work and to connect with you? It’s very simple. Get over to TRUTHPLANE.com and you’ll find me there. Wander around there. You’re welcome to contact me anytime. You’ll find ways to contact me. LinkedIn with me, Mark Bowden. Get to know me. I always talk back with people. Reach out, please do. Mark, thank you so much for coming on. It’s been great chatting with you. Thank you, Michael.